Editor’s Note: Every year during Computer Science Education Week, partners and educators come together to encourage millions of students to try computer science (CS). 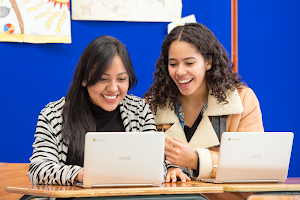 This year, Google is focusing on improving perceptions of CS while making it more accessible for underrepresented students. Follow along here throughout this week (Dec 5 - 11) to find out what we've learned from the latest research about CS education, what we're doing for CSEdWeek and how each of us can help champion #CSForAll. It takes countless hours and dedication to fill the CS gap in today's schools. Thanks to a lot of hard work by organizations and educators, the CS education landscape in the U.S. is changing for the better — 40 percent of K-12 principals say they’re offering CS classes this year with programming and coding, up from 25 percent last year. We’re grateful to have collaborative partnerships with many organizations, educators and others working to make computer science accessible to students every day. As this year’s CSEdWeek comes to a close, we'd like to acknowledge some of our partners dedicated to making #CSforall a reality. To all of the nonprofits, institutions, and the students themselves, committed to CS education: We’re proud to be a part of your community. Last year, National Girls Collaborative Project (NGCP) announced a new initiative at the White House: the Computer Science Outreach Program Evaluation Network (CS OPEN). This program provides community-building opportunities and grants so that nonprofits can evaluate their work in order to improve it. 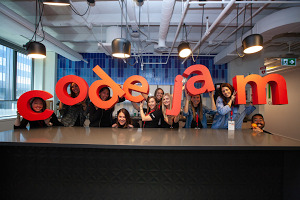 With support from Google, CS OPEN currently funds 12 organizations helping underrepresented minorities and girls pursue their STEM interests, including the STEM Academy at Oregon State University. The Academy engages K-12 youth in programs designed to increase college attendance and participation in the STEM fields. Through a recent CS OPEN grant, the Academy was able to move from a 1-page survey evaluation to full interviews and observations in order to understand how their programs were truly engaging youth. Next year, we'll be helping provide an additional $50K in seed funding in 2017 to help even more nonprofits evaluate and learn from their inspiring work. Sometimes, students just need a little advice from someone who's done it before. MentorNet has made it possible for professionals to use their skills to offer career insights, project assistance, and guidance to university students pursuing a career in STEM. MentorNet partners with igniteCS, an initiative at Google, that provides funding and resources for groups of college and university students to make a difference in their local communities through CS mentorship. The 2017 funding round opens in January, so If you’re a current university student, learn more on our website. If you’re a student studying STEM, check out free opportunities for mentors through MentorNet. 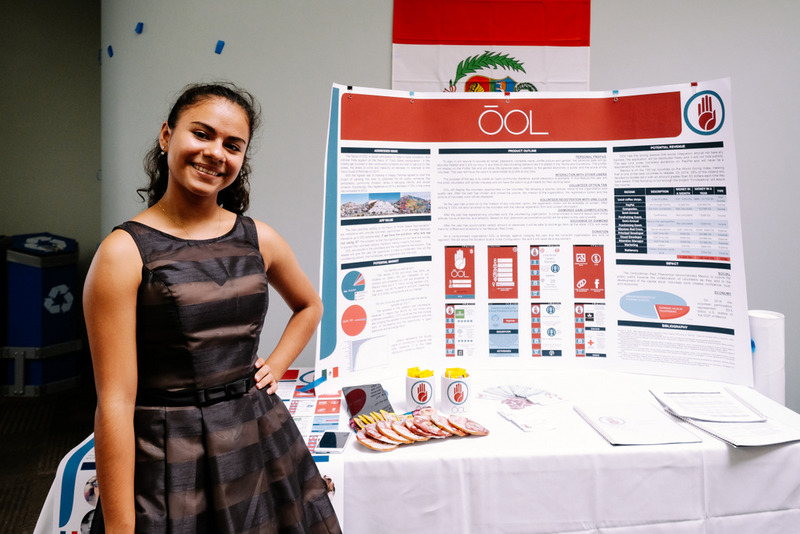 Lilia, an 18-year-old student from Mexico, recently won an award in the 2016 Technovation World Pitch competition, for her app, OOL. The first app of its kind in Mexico, OOL creates a bridge between nonprofit organizations and the people of Mexico, by connecting them to each other. Volunteer opportunities are presented to the user through a dynamic interface and, with a single click, the volunteer match is complete. Made with Code is joining forces with Iridescent to launch the 2017 Technovation Challenge, and we're excited to see Lilia inspire next year's participants to create their own apps to tackle real-life issues. Anika, a high school sophomore in Cupertino, CA volunteered in a senior care facility last year, which led her to learn more about Alzheimer's disease. She was shocked to learn that with no standard test for diagnosis, most doctors rely on their own opinions. By extracting image features from MRI scans, Anika built an interface for doctors to upload an image, enter some basic patient information, and get a reliable Alzheimer's diagnosis. 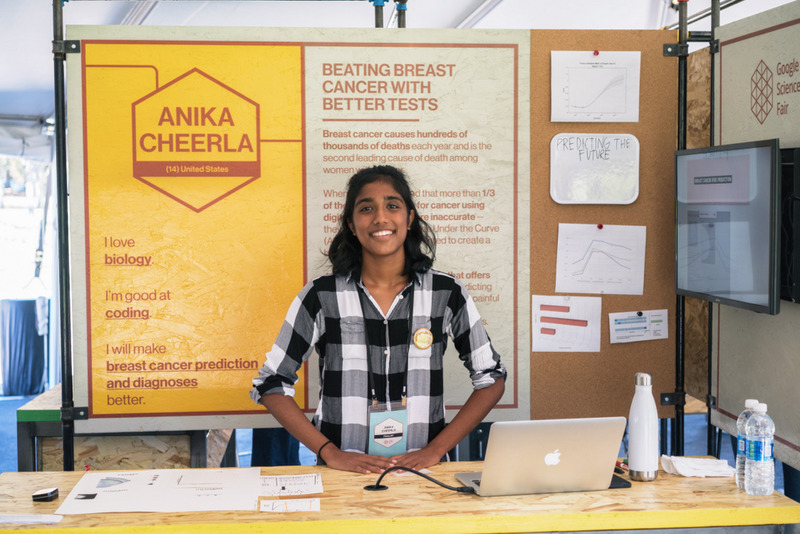 Anika’s innovative app won her a Global Finalist seat at the 2015 Google Science Fair and again in 2016, when she used code to predict the likelihood of a patient developing breast cancer by analyzing images from previous mammograms. We can’t wait to see what Anika does next. We’re humbled to be a part of the community of organizations that are making CS education accessible to all students. As CSEdWeek comes to a close, we’re humbled to be a part of the community of organizations that are making CS education accessible to all students.